It was pretty clear yesterday afternoon that the snow plumes off the North Sea would run on the edge of Essex and then hit Kent and Sussex. Despite this Network Rail went into panic mode about abandoning various sections of route or forcing services to start late. Reading between the lines, as I haven't seen a definitive statement, this was apparently to allow Network Rail to run de-icing trains to keep tracks clear and prevent overhead wires icing up. However their "advice" resulted in far too many services being withdrawn which bears no resemblance at all to the travel demands in London. As I type this we've got the first short flurry of snow today that won't trouble anyone. Nonetheless bits of the Overground are still withdrawn - why no trains between Willesden J and Richmond? What have the good residents of Acton done to deserve this nonsense? Ditto people at Southbury and Theobalds Grove. If LUL can run a full tube service including open air sections in Acton and out to Epping and Upminster with no apparent issues then why on earth are the TfL Rail route and parts of the Overground borked? This bodes very badly as a ludicrous over reaction - can you imagine the shambles if we get a repeat of this when Crossrail is actually open? Amazingly Thameslink seem to be running cross London with few issues so far. When we do *actually* get some snow on Thursday / Friday (as now seems likely) will there be no services at all because everyone is too "scared waredy" to run some choo choos in the cold? The Swiss and the Finnish / Swedes / Norweigans must be laughing their heads off at our ridiculous over-reaction. Whilst I agree that TfL/LO/NR haven't covered themselves in glory, Scandinavia is hardly a reasonable comparison. Do we invest in the sort of snow equipment that they have at their disposal which would probably be sat idle for years in the UK or do we accept the current situation? All I can say is that it is absolutely shocking , surely scotrail don't go in to panic mode and cancel nigh on everything because of forecasted bad weather ? It really isn't good enough absolute shambles . And neither have most TOC's, other than c2c,GA,and LO they seem to have managed near normal services. All I can say is that it is absolutely shocking , surely scotrail don't go in to panic mode and cancel nigh on everything because of forecasted bad weather ? It really isn't good enough absolute shambles. Shocking is the wrong word. The problem is that it's incomprehensible. It seems the train companies have subtly blamed Network Rail for imposing "restrictions" and it has taken NR at least half of today to decide that they can be removed. The few bits of social media comment I've seen today has centred on people accepting the need for a contingency plan but only when circumstances require it. No one has considered the weather north of the Thames sufficiently severe to justify closure of lines, reduced frequencies and all the rest of it. With regard to London Overground I am not convinced we are being told the truth. Yesterday there were train failures on the GOBLIN and then magically today a reduced frequency is imposed by "Network Rail" despite there being no snow and the line having had a shed load of investment in better track etc. If Arriva haven't got enough serviceable trains then they should own up and not hide behind anyone else. I can only imagine peak time loadings were beyond hellish. Then we have the mystery as to why no service from Edmonton to Cheshunt has been possible and also why the NLL has been running a vastly reduced frequency all day and why Acton has been a no go zone. I have to say I am very dubious about why it took til mid afternoon for shuttle to be put in place between Richmond and Willesden J when the WLL service has been fine despite having a third rail / overhead switchover on the move rather than at a station. I wonder how many class 378s are conked out at Willesden depot? The District Line has seemingly been able to reach the wilds of Upminster and Richmond today so why couldn't the Overground? You are the typical person of that in TfL rail that would do the cancelling etc. Come up with all the excuses in the world instead of getting on with it. It is nothing to do with investing in snow equipment. Its about getting some kind of service out there. At this rate, we may as well tell everyone stay in doors as it is too dangerous out there. Like I said I'm not defending the actions of TfL rail. Nobody has suggested that everybody should stay in doors just that they travel only if necessary and take appropriate precautions. Just two months ago the TfL Fail was struggling to operate in the cold weather Trying to make a simple journey from Manor Park to Ilford today I thought I'd take the service as a 1323 service was coming soon and it would be faster than the bus. It wasn't until 1335 that the train ended up arriving we weren't told any of this on the platform. I only found out about this when the TfL Fail's twitter team decided to tweet it out when the train was halfway through its journey. In that time I'd have been better taking a bus - I might have even been able to walk it! This shambles really needs to be sorted out, TfL Fail also seem to have made it onto one of the worst TOCs for skipping stations list coming 4th behind Thameslink, Southeastern and South Western Railway. Now you can think "At least they're not the worst" but all the other three TOCs have vast networks with many branches while all the TfL Fail has to deal with is a line going up and down with 14 stations . Looking on twitter they seem to be giving grief to a lot of other commuters as well, although the responses they seem to be getting there are quite amusing. I really hope this mess doesn't spread to the service in West London when it gets taken over in a few weeks for the sake of everyone who lives in the area. I haven't seen too many catastrophic rush hour service collapses recently although there was one earlier this week when a train conked out near Stratford. This ended up suspending the service between Stratford and Liv St at the height on the evening peak. I think it is rolling stock problems that are the issue - trying to get the class 345s into service and building up their reliability. There now seem to be fewer overhead wire, track and signalling issues - so there should be after 2 years of possessions, closures and engineering works. However today will be a real test as to whether the new overhead is more resistant to high temperatures. I suspect services out west may not fair terribly well in the short term as new class 345s have to be brought into service there and there still *are* far too many signalling failures on the GWML. The issues about the train protection systems on the Heathrow tunnel may also cause service reliability issues as TfL try to get class 345s to run down there. We also have the problems of the H&H bay platform possibly not being ready for 9 car class 345s thus necessitating temporary use of 7 car trains then a later, additional, programme of re-extending them to 9 cars. I am not a railway engineer by trade but these issues are not exactly unexpected. One would hope the project risk register covered all of these risks and they are being actively managed. Out west there are also considerable problems with the station rebuilds plus a notable lack of TfL presence despite TfL now running 10 of the stations. These latter points are covered in a new London Reconnections article. It is interesting to note that under the original project programme we would be heading for a big bang introduction of the full service Reading to Shenfield in under 8 months. It was a money saving / re-risking measure which shoved the programme out by a year and phased the introduction of services into the tunnel. That measure is now looking to be very wise given where we find ourselves now - stations in Zones 1 and 2 not ready, testing barely started in the tunnels, 3 months of testing time lost etc etc. It's going to be a frantic final 8 months. I'm going to jump to the defence of TFL Rail here, After reading your post I decided to investigate your train 2W90 1310 LST - SNF and it was Right time start from LST, but incurred a 5 minute delay between Bow Junction because of an emergency speed restriction of 20mph implemented by Network Rail. Looking through the Sectional Appendix The speed limit through Bow Jct is 70 until Carpenters Road Sth Jct or where the Line parts for the XR tunnels, where it drops to 40 through the platforms at Stratford. Network Rail have various operational contingencies for the operation of Electric traction in High, Strong winds and High temperatures. This is taken from the Sectional Appendix. Liverpool Street to Chelmsford (including all branches) 60 m.p.h. Chelmsford to Norwich (main line) 80 m.p.h. Clacton and Harwich branches 60 m.p.h. Bethnal Green to Kings Lynn 60 m.p.h. Royston to Shepreth Branch Jn. 60 m.p.h. Fenchurch St to Shoeburyness & branches 50 m.p.h. 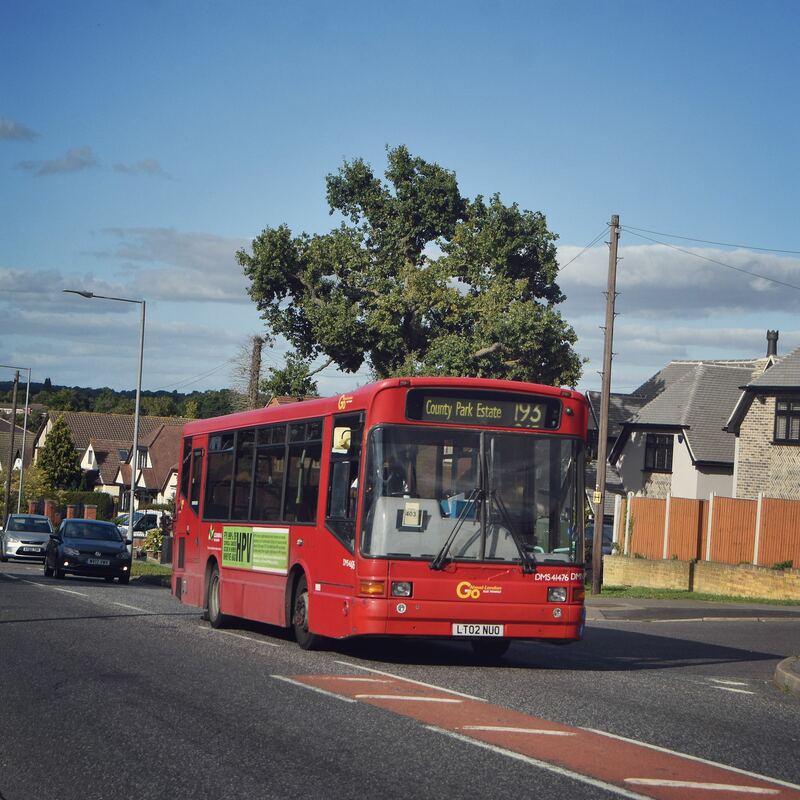 The Route Manager will arrange to advise all Train Operators, who will ensure that all Drivers are aware of the speed restriction to be observed. I don't denounce that the 345's have not had problems since their introduction, I was still quite surprised to see a Bombardier technician changing ends at LST last friday, but this was a common feature on the 378's when they where introduced on LO and more particularly the Watford dc line. Sometimes the delay attribution of some services isn't listed for about 5-10 minutes after the delay is incurred, it's frustrating working on the platform or in a supervisor role in the midst of disruption not really knowing what the reason for the delay is. I must credit the TFL rail twitter team as there seems to be more content on their feed as opposed to when the line was inherited for GA. It is irritating however from a passenger perspective when there's a complete lack of information about what's going on. Today the heat just made matters worse for people waiting on the platform who were all hot and bothered. It was a good thing a nice air conditioned 345 turned up instead of one of those 315s. The TfL Rail's twitter has more content, but it's still far from good. Very often you see a tweet go out then it ending up with a flood of replies because what was tweeted out was not actually the cause of the delay. To be honest sometimes I do respect the people behind that desk with the amount of abuse they get from passengers. I understand yours and other passengers frustration, limited information is better than no information at the best of times. TOC's bare the brunt of annoyed passengers for frequent infrastructure failures which NR are responsible for. I believe the TFL Rail social media team has recently moved into the Romford ROC, so they are able to provided information a little bit quicker than the early days, It's the LU specific lines that are the worst for updating their feed and responding to tweets with very delayed response times, but i'm sure it's a small number of people manning a number of feeds. No loool, I hate the 315s. Awful trains from a personal opinion. As for the LU specific twitter feeds I agree, they're just as bad. I remember once being stuck on a District Line for ages yet the twitter team tweeted nothing out.